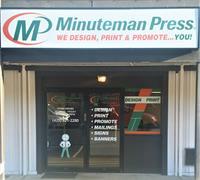 Minuteman Press of Kirkland is a full-service printing and marketing design company. We offer all types of business services such as advertising, printing & direct mail. Minuteman Press can design and print anything to make your business GROW! We do free pick up and delivery.